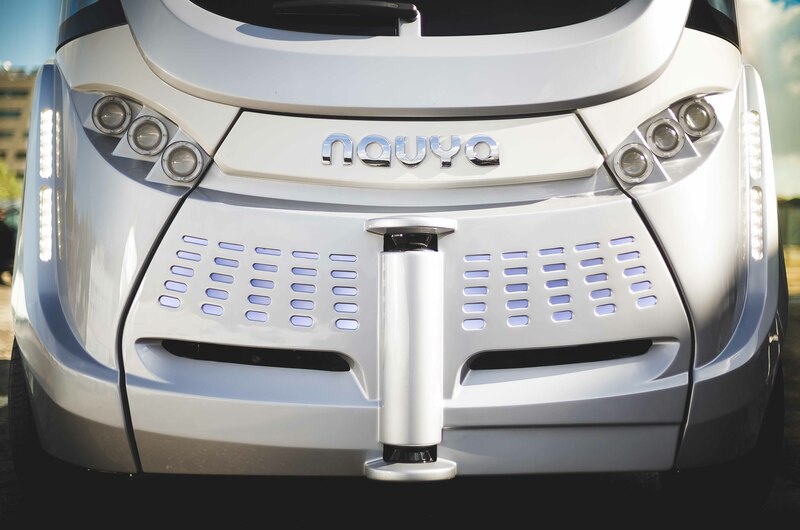 Velodyne LiDAR, the pioneer in autonomous vehicle technology, will raise the bar higher still at CES 2016, previewing its next generation Solid-State Hybrid ADAS (advanced driver assistance system) sensor and unveiling a new relationship with an auto industry giant. The company will also showcase breakthrough implementations in Asia and Europe, and extend its design leadership. Velodyne has already transformed a market in hyper-growth mode. The company is recognized worldwide for developing high-definition LiDAR (Light Detection and Ranging) sensors for autonomous vehicle applications, 3D mapping and surveying, robots on land and sea, and all manner of UAVs. Velodyne’s LiDAR sensors are used by virtually every car manufacturer and tier 1 supplier in the business, as well as players outside the auto industry. To view a recent CNBC interview with Velodyne founder/CEO David Hall, please see: http://video.cnbc.com/gallery/?video=3000468908&play=1. Ford Motor Company’s autonomous driving results at the University of Michigan’s Mcity, the world's first full-scaled simulated urban environment, with navigational help from multiple Velodyne LiDAR sensors (https://www.youtube.com/watch?v=Eurbzbp8VdY). A milestone for China’s autonomous driving effort, via a self-driving car from Baidu, the leading Chinese language Internet search provider. 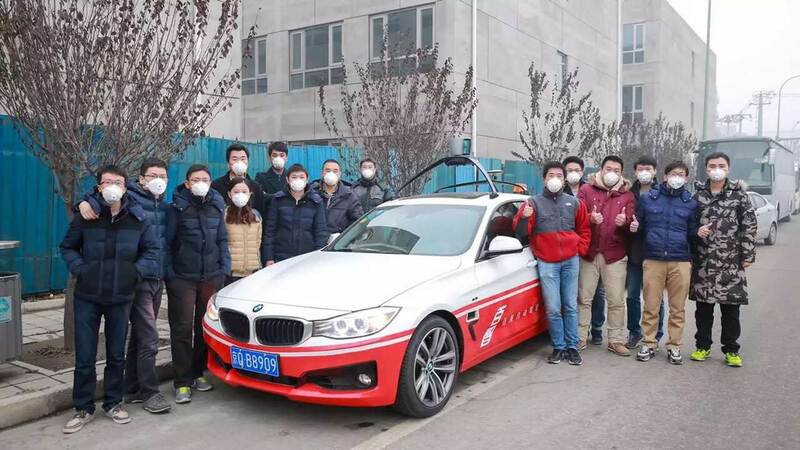 The Baidu vehicle, a modified BMW 3 Series, is the country’s first to have demonstrated full autonomy under complex road conditions -- guided throughout by an HDL-64E 3D real-time sensor from Velodyne. A live demo at the Velodyne booth showing data fusing of multiple VLP-16s using PolySync software from AutonomouStuff. An automotive operating system that generates a 360-degree real-time view from multiple LiDAR sensors, cameras, and radar, PolySync facilitates the highest level ADAS/autonomous driving features for increased comfort and added safety. Outside the LVCC, a white Lincoln MKZ demo vehicle will sport two tightly integrated VLP-16s, mobile eye camera assistance and on-board radar fused with the PolySync OS and serving as an Autonomous Development Platform. The vehicle, available for rides on request, will be based at Treasure Island Hotel on mornings from Jan. 6-8 and at the Westgate Hotel each afternoon. Founded in 1983 and based in California’s Silicon Valley, Velodyne Acoustics, Inc. is a diversified technology company known worldwide for its high-performance audio equipment and real-time LiDAR sensors. The company’s LiDAR division evolved after founder/inventor David Hall competed in the 2004-05 DARPA Grand Challenge using stereovision technology. Based on his experience during this challenge, Hall recognized the limitations of stereovision and developed the HDL-64 high-resolution LiDAR sensor. 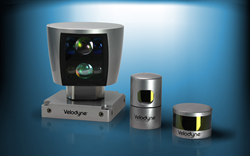 Velodyne subsequently released its compact, lightweight HDL 32E sensor, available for many applications including UAVs, and the new VLP-16 LiDAR Puck, a 16-channel real-time LiDAR sensor that is both substantially smaller and dramatically less expensive than previous generation sensors. Market research firm Frost & Sullivan has honored the company and the VLP-16 with its 2015 North American Automotive ADAS (Advanced Driver Assistance System) Sensors Product Leadership Award. Since 2007, Velodyne’s LiDAR division has emerged as the leading developer, manufacturer and supplier of real-time LiDAR sensor technology used in a variety of commercial applications including autonomous vehicles, vehicle safety systems, 3D mobile mapping, 3D aerial mapping and security. For the latest information on new products and to receive Velodyne’s newsletter, register here.